I intend to get at least one quilt finished by the end of the year and another one before I go back to school in late January. Then maybe hand quilt Delilah and Clambake. I wonder if I can do them before I start something new?. 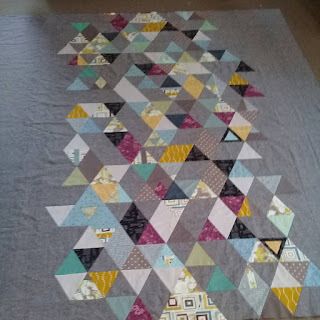 I have a bundle of solids I’d like to cut into and another scrappy quilt planned. We have many of the same ideas/goals for next year. The upside to having both my sons on their own is much less work for Christmas this year and more time for crafty projects...a great way to end the year. Great wip finishes! I hyperventilate when I look at my pile of wips! I've still got a WIP from 2 years ago to finish. The lure of starting something new is always more exciting though. Such a lovely selection of projects! Well, you know me, I always start much more than I finish! I do have a list each year and love crossing things off! I just seem to wander off in different directions somehow! Good luck with your 'to do' list. And Merry Christmas! You have some great projects there. 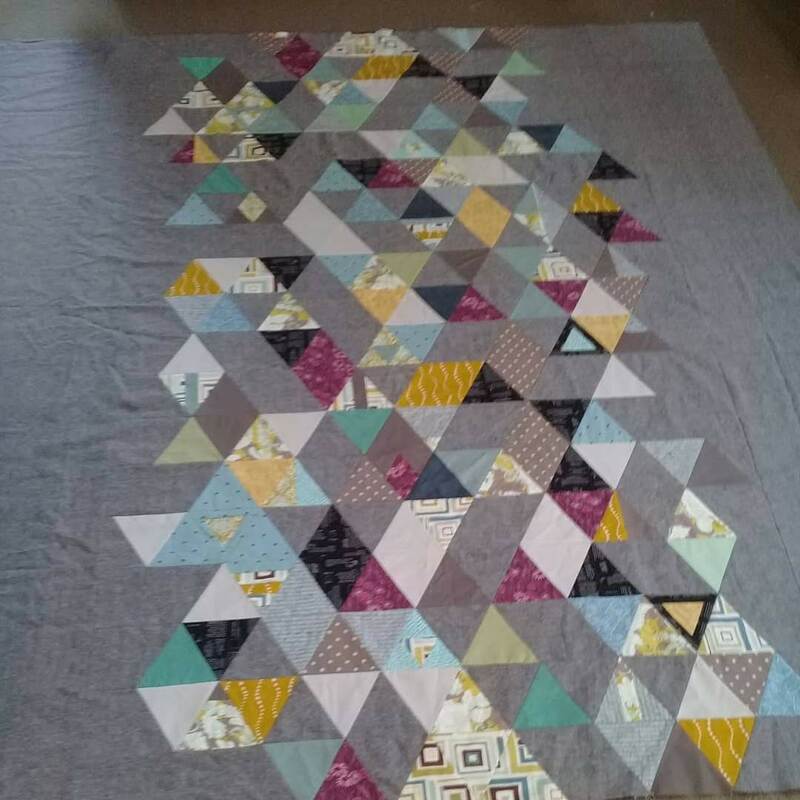 I am doing a baby quilt similar to yours. Is yours a QAYG too? I love your top sampler; the colors are great. I'd like to hear more about your diary system too.